NAI Alliance's Kelly Bland of the Retail Properties Group gives his opinion on the $141 Million default on the Legends at Sparks Marina: "Part of the problem facing the Legends development is what is not there: A planned hotel-casino, an RV dealership, a baseball stadium and a dinosaur-themed restaurant, said Kelly Bland, the senior vice president of retail properties for Reno-based NAI Alliance. “The nature of the project of how it turned out to be is substantially different than what was anticipated,” Bland said...As for the notice of default on the $141 million in private financing, Bland said it’s possible RED Development deliberately defaulted on the debt to force the lender group to the negotiation table, a tactic many cash-strapped firms have used since the financial crisis happened more than three years ago. “My speculation would be they forced this into foreclosure,” Bland said. “A lot of times you need, in today’s day and age with the loans the way they’re handled by receivers, you need to stop paying to get the issue addressed.”" (RGJ, "141 M default at Legends," 31 Jan 2012). NAI Global, the largest network of independent commercial real estate firms worldwide, announced today that its previously reported acquisition by C-III Capital Partners LLC (C-III) has been completed. The transaction will help create a leading fully integrated commercial property services company that will operate in markets around the world. 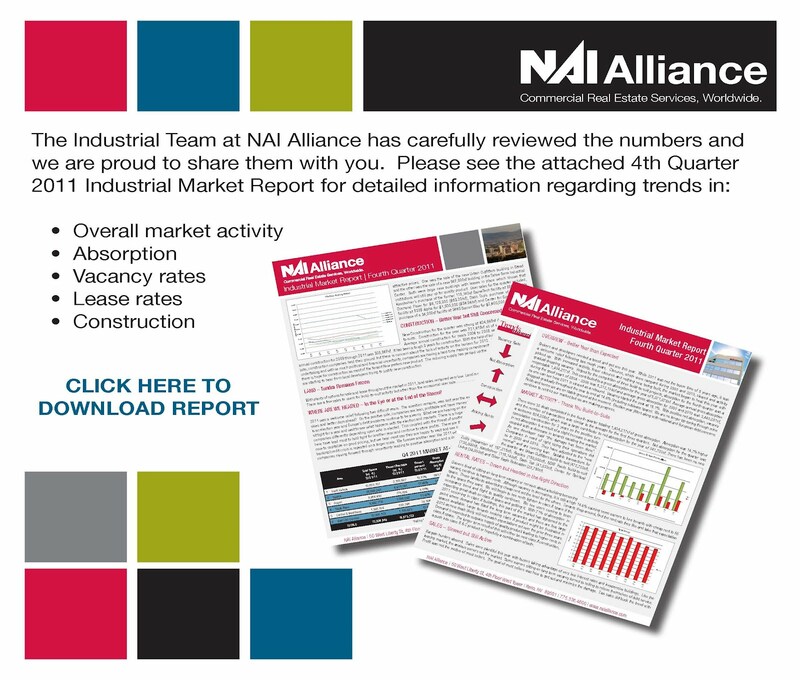 Locally based NAI Alliance, is the Northern Nevada representative of NAI Global. Looking back to our Q1 2011 report of nearly 12 months ago, the adage repeats itself; activity breeds activity. The Northern Nevada Office Market closes out a two year trend of positive net absorption and a decrease in overall vacancy. Some of the impactful players of 2011 were newcomers to Northern Nevada; Reality Engineering out of California, Fusion Contact Centers out of Arizona and Stifel Nicolaus out of Missouri. The other impactful players were the local staples such as Jones Vargas and Muckel Anderson; two companies that remained downtown, but after a combined 20+ years of tenancy in the former Porsche Building moved out of 100 W. Liberty St. into the Jones Vargas Center at 300 E. 2nd Street. Most people report this good news to inbound companies such as Brightpoint North America and Benco Dental Supply which are absorbing hundreds of thousands of square feet within the advanced logistics niche market. On the other hand, we do not hear enough about companies within the business service sectors such as Consolidated Agency Partners, MyNewPlace.com, Sanare, B&B Medical Services, Enel Geothermal and others that are new to our market or expanding locally, creating an economic impact, diversifying the economy and absorbing office space. Ending 2011 with a decreasing overall vacancy rate of 17.36%, the office market continues to improve netting positive absorption of 27,200 square feet. Possibly the better news, the funnel of sublease space on the market is diminishing, a tell tale that the general office market is preparing for steady improvement. From a submarket perspective, Meadowood, particularly the Kietzke Lane-McCarran Boulevard corridor, continues to outperform the overall market standing at 14.28% vacancy. Rents within the Meadowood Submarket are exceeding an effective $2.00 per square foot, full service gross. Yet, Downtown recorded the most improvement absorbing nearly 90,000 square feet year over year. The outlook, although optimism persists, continues to hinge on the growth of GDP, consumer confidence and the woes of widespread deleveraging. These factors, affected gravely by the upcoming election and future legislation, will determine the organic and inbound office space absorption of 2012. Specific market sectors such as alternative energy, tech infrastructure and mining substantiate innovation in the local economy, yet the anxiety level remains high and is the impediment for job creation. Northern Nevada must continue to focus on industry diversification and the quality of life, Reno-Tahoe experience to attract and retain emerging companies. 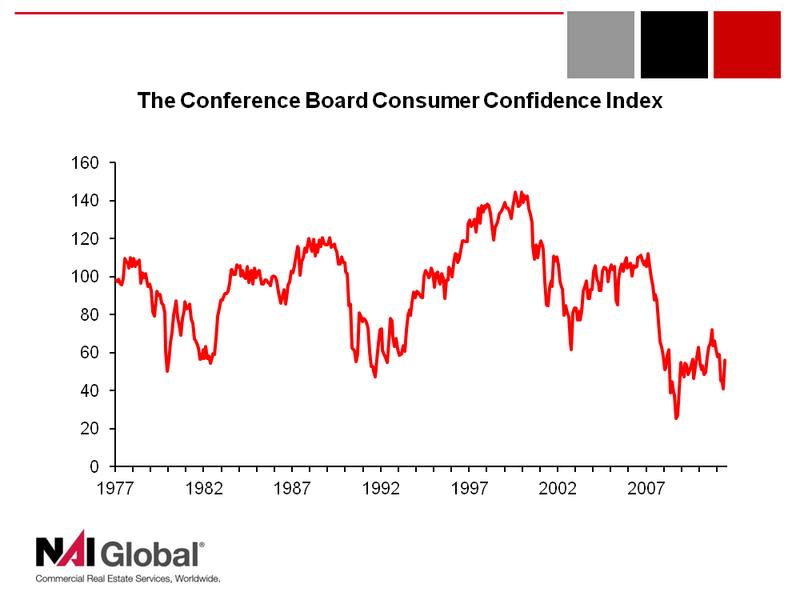 A frightening graphic from Peter Linneman during the NAI Global Economic Forecast on January 20, 2012. Often we only see trends going back one to four years. This one, however, goes back to the millenium. Hopefully, no matter waht happens with the elections, we will see and feel much needed stability to reverse these tides. Light at the End of the Industrial Tunnel? 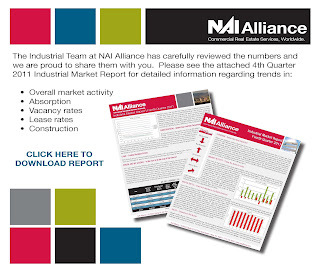 CoStar Advisor Newsletter recently published Is Industrial Property’s Turn Next? 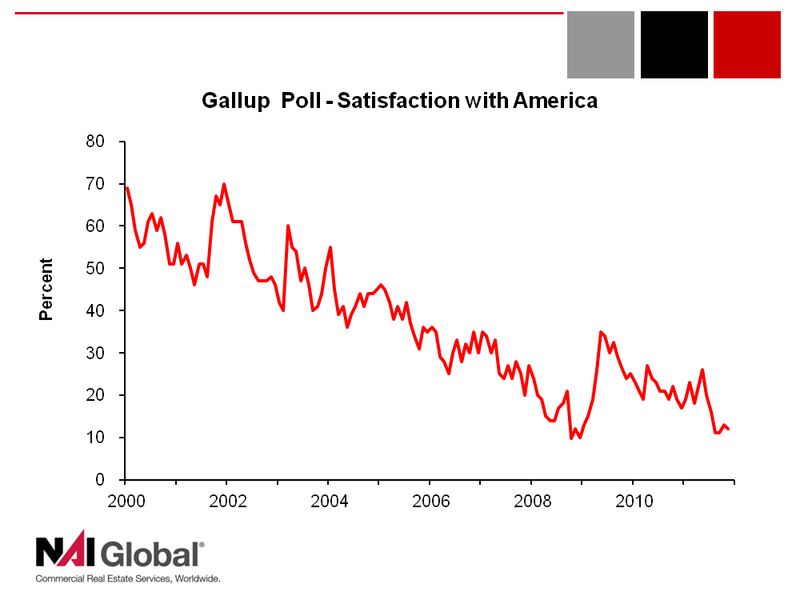 Manufacturing Momentum Shifting to U.S., citing several examples of why manufacturing could be picking up. Could this give the Industrial Real Estate Market a much needed boost? As we turn our gaze to 2012, here is some good news I have to share. An analysis by Jones Lang LaSalle concluded that healthcare real estate will continue to be a strong investment category in 2012. “While no asset class can be considered recession-proof, based on past performance and future projections, healthcare real estate is about as recession resistant as possible which makes it a preferred class today”. Though many healthcare professionals are in a holding pattern because of the uncertainties in national reforms yet to unfold, my bet is that we will continue to see merger and acquisition activity. We could also see inventories being reevaluated and investment options growing. Stayed tuned. And buckle your seat belts.